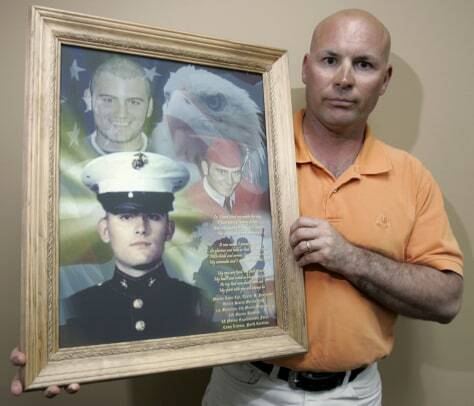 John Prazynski holds a collage of his son, Marine Lance Cpl. Taylor Prazynski. John Prazynski refuses to judge President Bush a year after his 20-year-old son died in Iraq from shrapnel flung by an exploding mortar shell.